There have been advancements made in society which have helped many people with physical and mental limitations live a more fulfilling and productive life. After being around for quite some time, many of these innovations are often taken for granted and not fully appreciated for what they have contributed to humanity. Mobility scooters were officially invented in 1968 by a Michigan plumber, Alan Thieme, who developed a front wheel drive scooter to assist one of his family members who was suffering from Multiple Sclerosis. Working by day as a plumber and at night on his project, Thieme completed his creation and called it a Powered Operated Vehicle (POV). Thieme named his first mobility scooter the Amigo, indicating the device was a friend for his disease-stricken family member, who absolutely loved it. As a result of the positive feedback about the unit from his relative, Thieme decided to start a business manufacturing these scooters, which he is still part of today. 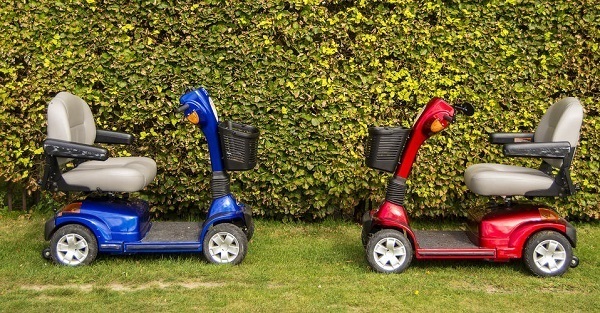 Several years after the Amigo started to catch on, other companies began to take note and also jumped in the market by manufacturing their own mobility scooters. Thieme, who invented the device with the noblest of intentions, would eventually see his hard work, dedication, and honest intentions pay off. It is interesting to note that the predecessor of the mobility scooter, the wheelchair (in one form or another), had been around for many centuries with little or no mechanical innovation made to it. It was not until Thieme came along in the late 1960’s and decided to add an electrical engine and mass produced the unit when the idea took off. Who Are Mobility Scooters Designed For? Am I Allowed To Drive My Mobility Scooter On The Road? A mobility scooter is described as a transportation device which is utilized by disabled individuals and assists them in getting around from one place to another. The unit is used for the same purposed as a wheelchair with the difference being that it is set up similarly to a motor scooter. In comparison to a manually powered wheelchair, it is electrically powered and can also go over different types of level terrain. Featuring a seat (which may swivel), three to five wheels, handlebars or steering element and a floor or foot plates, the mobility scooter is also known as a power operated vehicle or electric scooter. Most of these units are battery powered; however, there are also some which are gasoline powered. There are scooters which are user powered by engaging in a rowing motion with a lever, enabling both exercise and mobility. When it comes to the drive train of the mobility scooter, there are two types: a front-wheel drive and a rear-wheel-drive. The front-wheel-drive scooter is usually smaller (weight capacity of 170-250 pounds) and utilized indoors. The rear-wheel drive is for both indoor and outdoor use and has a maximum weight capacity of approximately 250 pounds. Also, there are more powerful rear-wheel drive models which can carry a weight of up to 500 pounds. Additional features of mobility scooters may include a centrally located steering column situated at the front part of the scooter which has various controls for the user. Depending on the model's options, this can include forward and reverse directional controls, speed controls, lighting controls, turning signals, battery use indicator and a speed limiter. With the technological advancement of battery-powered electric vehicles, gasoline powered mobility scooters are quickly being phased out and being replaced by electrical powered ones. Still available in some countries, gas powered scooters are not safe to use indoors, create pollution and are louder than their electrical counterparts. One advantage that gas powered scooter do have over electrical ones is that they have much more powerful engines and they do not require time for the battery to recharge. However, some of the newer electrical models are gaining steam and becoming more and more powerful with regards to their speed, acceleration, torque, and range. When it comes to mobility scooters, the electrically powered variety is usually the way to go. Electricity burns clean which allows the scooter to be used indoors, unlike gas-powered units. Some of the more recent electrical scooter models also contain a built-in solar panel which assists in charging the vehicle's battery when parked. More efficient solar-powered technology is one of many recent innovations which has made electrical scooters more and more appealing. Other advancements include smaller more powerful batteries which do not require as long to charge, faster engines and tweaking capabilities of the unit via an accompanying app. With such available options, users can now maximize many performance parameters. Although both units are used for assisting individuals in getting around, there are numerous differences between a mobility scooter and a manually powered wheelchair. In short, the mobility scooter offers a wide variety of customized options, while the wheelchair suffers from many limitations which led to the invention of the scooter to begin with. Mobility scooters are beneficial for individuals who are saddled with mobility problems and do not require the use of a wheelchair. Scooters can be customized, offer a wide variety of options, are easy to assemble and have the capability to travel at rapid speeds. The unit also has the advantage of being powered by a relatively clean form of energy, which can also be used indoors. With rapid advancements in electrical vehicles, electric scooters should only get better and better with regards to their performance. Unlike mobility scooters, manually powered wheelchairs can only be used by those who have full use of their arms. And even then, you are limited and unable to travel very long distances or go up steep hills or on roads which are not paved. The wheelchair also does not have any type of steering wheel mechanism which assists in maneuvering capabilities. 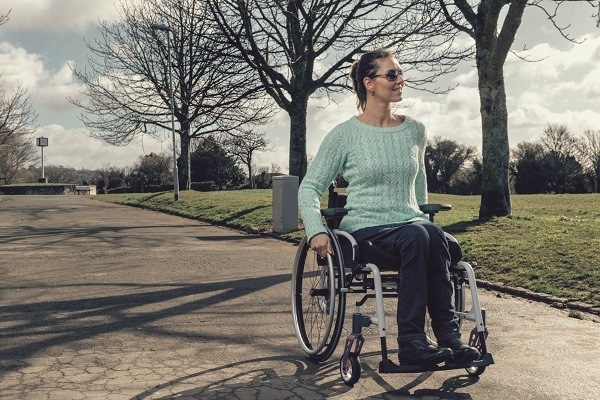 Another main difference between the two mobility devices which should be considered is the handicapped stigma associated with utilizing a wheelchair. In contrast, many scooter models are being developed which provide a much more appealing design than that of a wheelchair. For example, there are scooters which are now being modeled after automobiles or motorcycles, making them hip and trendy. All in all, the mobility scooter is well ahead of the manually operated wheelchair when it comes to getting around in style, along with containing all the modern bells and whistles. Of course, to make a more detailed comparison, each user's needs must be taken into account and adequately evaluated. Aging brings on its share of challenges since there may be things you are no longer capable of doing that you once had no problem doing when younger. Many older individuals are unable to stand or walk for an extended period of time due to various ailments. Therefore, seniors who are unable to walk certain distances or carry items (such as groceries) are very limited when it comes to getting around. This ends up diminishing their quality of life, which could lead to a depressive state of mind. Today's mobility scooters permit elderly individuals with such problems a viable option to go about life in a more normal manner. They can travel much further away from their homes, carry items and go about doing their daily chores while still retaining a sense of independence. 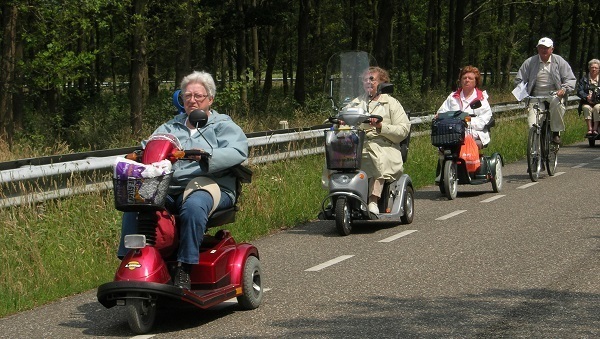 Since old age can be a difficult time in one’s life, the scooter helps in making one’s golden years a bit more enjoyable. Living as a disabled person in a world which mostly caters to healthy individuals is something which could be unpleasant and cause a certain amount of unhappiness. When, as a result of physical disability, you are unable to do the things which others take for granted, this could create a barrier toward living a happy and joyous life. The mobility scooter does not only allow disabled individuals to become independent and get from one place to another; it will enable them to integrate into society and be more social. Individuals who do not have access to a scooter and do not have the opportunity to travel locally are at a definite disadvantage. Due to poor eating habits, lack of activity and metabolism disorders, obesity is a problematic disorder. When an individual is exceptionally overweight, they are usually unable to walk for long distances or stand for long periods of time. Therefore, a simple walk to the store or a trip to the park becomes a challenge which may be very difficult to accomplish. Just like with elderly and disabled individuals, one who is obese and utilize the mobility scooter to make their way around town and live a more fulfilling life. Being independent and getting around on your own is something which not only helps with your self-esteem, it also allows you to maintain a sense of dignity. If you do end up acquiring a scooter and using, you will marvel at how you managed to live without one? Travel mobility scooters are ideal for getting around town, as they are equipped with a very stable wheelbase and a battery which stays charged long enough so you can get around from one place to another. These scooters usually move at an adequate rate of speed and are equipped with instrument panels to provide you with pertinent information about the unit when traveling. Full size mobility scooters provide better outdoor performance than other models and can go over more rugged terrain. They are front or rear-wheel drive, stable and take obstacles in stride. This type of scooter is usually equipped with navigation lights, an instrument panel and often offers more legroom than other models. With a weight capacity of up to 550 pounds, heavy duty mobility scooters tend to have larger motors, rear-wheel drive, broader bases and larger tires. They can accommodate almost any user and can maneuver through rougher landscapes than their lighter counterparts. 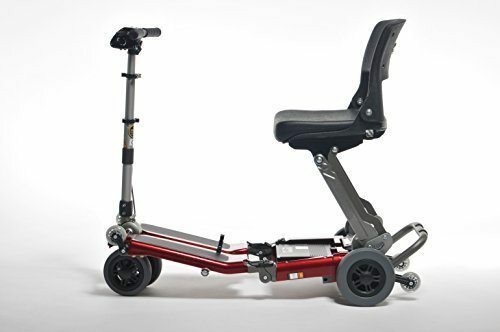 This type of scooter is ideal for excessively obese individuals who are over 250 pounds, the usual weight limit for an average sized scooter. The advantage of a folding mobility scooter is that the unit can be folded or even quickly disassembled and placed within the trunk of a car so it can be transported to another location. With models that do not fold, a van is required for conveyance which can be inconvenient for some. Due to their function, most folding units are light and compact so that they can be easily lifted. Since they are not as heavy as other types of units, they are not suitable for rougher terrain. The most advanced mobility scooters in this aspect have a range of up to about 40 miles, which is more than enough for most individuals for the day. As technology becomes more and more advanced, this distance is sure to increase. It is best to estimate how far you will need to travel on a daily basis. Look for a scooter which is within your range. Scooters that go a longer distance have a high-end battery and are guaranteed to be more expensive. Depending on the laws where you reside, mobility scooters are allowed on the road, on the sidewalk or both. Of course, taking an 8 mph scooter on a road with a slow speed limit should not pose many problems. However, it is not advised to go on a highway with such a unit. While on the road or the sidewalk, the driver of the unit must follow all the traffic laws and it is advisable to have your headlights and taillights on so other vehicles and pedestrians can clearly see you. Since many of these units are heavy, they can cause severe injury or even death if they impact another person. Therefore, it is imperative that a significant amount of caution is used when traveling on the sidewalk amongst pedestrians. As with cyclists using bicycles on sidewalks, these scooters have caused some friction with pedestrians. Knowing whether or not a health insurance company covers the purchase of a mobility scooter is something which is very important to know. Since many of these units are becoming more advanced, they are increasing in price and becoming less affordable for many. Of course, coverage ultimately depends on your insurance carrier, but there are some things which are essential to know. Most insurance companies will offer coverage for mobility scooters; however, they will give you a tough time in doing so. The process can take up to nine months and it includes a significant amount of paperwork and doctor visits for approval. Since insurance companies are in business to make money, these complications are obviously created so they can discourage as many individuals as possible in applying for coverage. Once you do get approved, the carrier will only pay for the most basic model, so do not expect to get a scooter with all the fancy options. In addition, you will have to purchase the scooter outright first before getting reimbursed by the carrier. This process usually takes another two to three months, at which time you will feel like you have jumped through numerous hoops for the coverage. A mobility scooter is a mechanized unit that requires regular maintenance to keep it in sufficient running condition. Just like an automobile, the scooter will require general upkeep and repairs from time to time. Just like a car or any other mechanical unit, it is essential that you take good care of your scooter to limit the problems. Failure to properly maintain your model can create stress and increase the chances of something going wrong and having it leave you stranded at an inopportune time. In the United States, it is not a requirement to carry insurance on a mobility scooter. However, it is a good idea to look into purchasing insurance which covers perils such as accidental damage, theft, substantial repairs, third party liability and breakdown assistance. In addition, if you have a homeowners insurance policy, you may want to investigate and determine if the carrier covers your mobility scooter. If it is not covered, you should inquire with your broker about adding coverage. The daily maintenance of your scooter should consist of keeping your scooter clean, drying off any parts which get wet, checking the tires for any punctures and recharging the battery. Keeping a close eye on all these items on a daily basis will go a long way towards keeping your unit in good shape for a long time. On a weekly basis, you should check the air pressure of your tires and investigate for any discoloration, cracks and other objects. Also, make sure you have a good look at your tires to make sure there is no wobbling. Once a month, the batteries should be inspected for corrosion and the battery area and underside should be cleaned. The tire tread should not be worn less than 1/32”. Every year, you should have your scooter inspected by a trained technician. A technician will be able to pinpoint any potential problems, preventing more costly repairs down the line. Scooter owners will often wait too long to provided maintenance and repairs to their unit, which usually ends up causing additional problems. 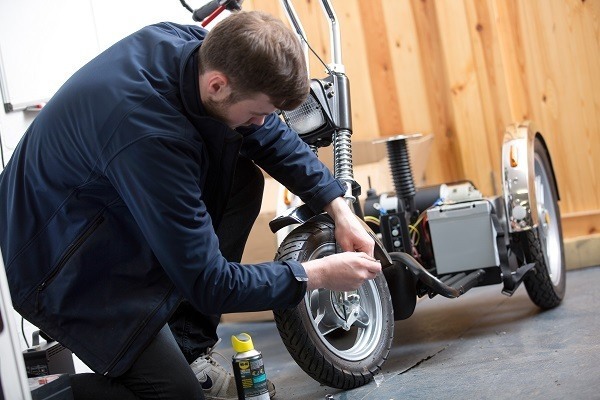 One minor issue can lead to a more significant problem, therefore, to avoid costly repairs and the stress of being without your scooter for an extended period of time, it is vital that it is regularly maintained. There are many things to consider when owning and operating a mobility scooter. These units were developed to make life easier and more enjoyable for those who have trouble getting around on their own. However, this also means there are specific responsibilities involved when using a scooter. If you are in the market for a mobility scooter, you will first have to determine which one is best for your needs. Since there are many different types of scooters which are currently available, you will have to take a close look at your needs and decide which model is best for you. Whether you need it for indoor use, outdoor use, short range, long range or limited use, these are all questions which need to be answered. Once you do get behind the wheel of a scooter, you will have to make sure that you respect the rules of the road and drive it safely and carefully. Many of these units are quite heavy and can cause injury if they impact another person. The driver can also be injured and thrown off if they are not operating it safely on terrain which is not too rough. You will have to get to know your scooter and find out what it is capable of handling. Knowing the limits of your machine is one of the surest ways to remain safe while operating it. 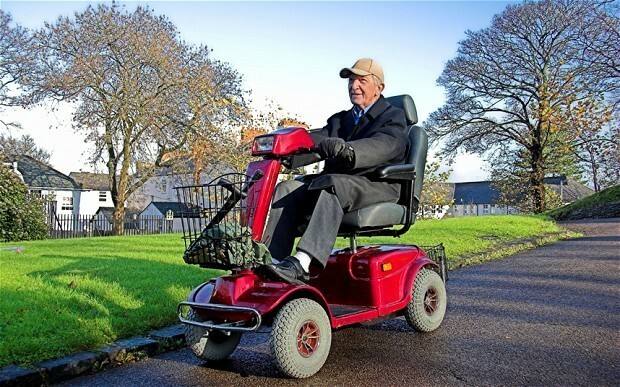 Furthermore, this mobility scooter is a mechanical unit which requires a certain amount of maintenance to stay in tip-top condition. Neglecting its care can leave you stranded on the street or leave you stranded with a hefty repair bill. It is best to avoid either scenario if there is an opportunity to do so. If you are looking for additional information about mobility scooters, please continue to our buying guide where we analyze and break down the different types of models which are available on the market. Of course, if you were just here for info on mobility scooters, we thank you for your time. Over the past decade or so, there have been some significant advances in electrically powered vehicles, which makes the purchasing of a scooter a serious consideration. Good luck on your quest and happy scootering!